When thinking of Portugal, it’s much more likely that images of beaches, mountains and custard tarts will enter your mind before those of birds. The link between birds and Portugal for some extends only as far as Saturday visits to Nando’s, and as such it is often overlooked as a viable birdwatching destination for those who flock to mainland Europe with binoculars in hand. In fact, Portugal’s unique position on the Atlantic and Mediterranean ensures diverse climates and consequently, some of the best birdwatching on the continent. 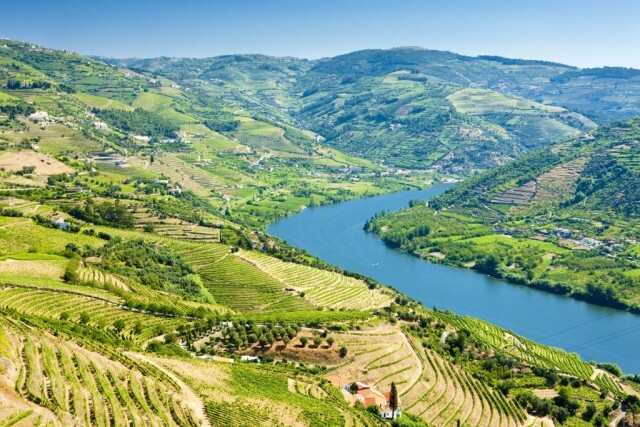 Here we look at four of the reasons why Portugal should be high on your list. An understandably high priority for birdwatchers; the wealth of birds in Portugal is truly breathtaking. Most people head to Portugal’s Iberian neighbour without realising that the same trove of sought-after birdlife, such as the great bustard and booted eagle, can be found equally as easily in Portugal. 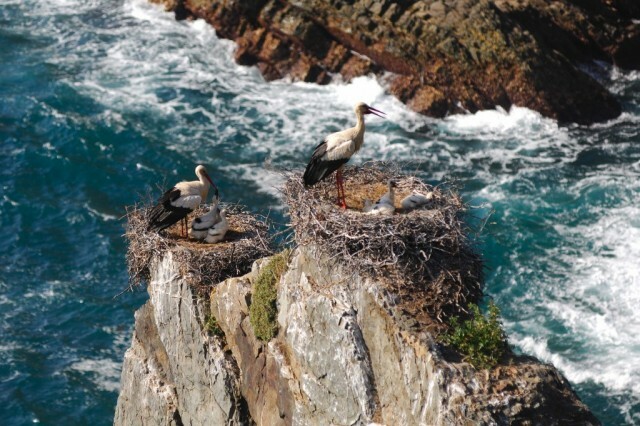 The country’s varied temperatures throughout its diversified regions mean that it is a popular nesting spot all year-round. In addition to the many well-integrated native birds are a plethora of migrating ones that come from Europe and Africa to escape either the cold or warmth. Among the most beautiful are the European bee-eater, the azure-winged magpie and the purple swamp-hen. 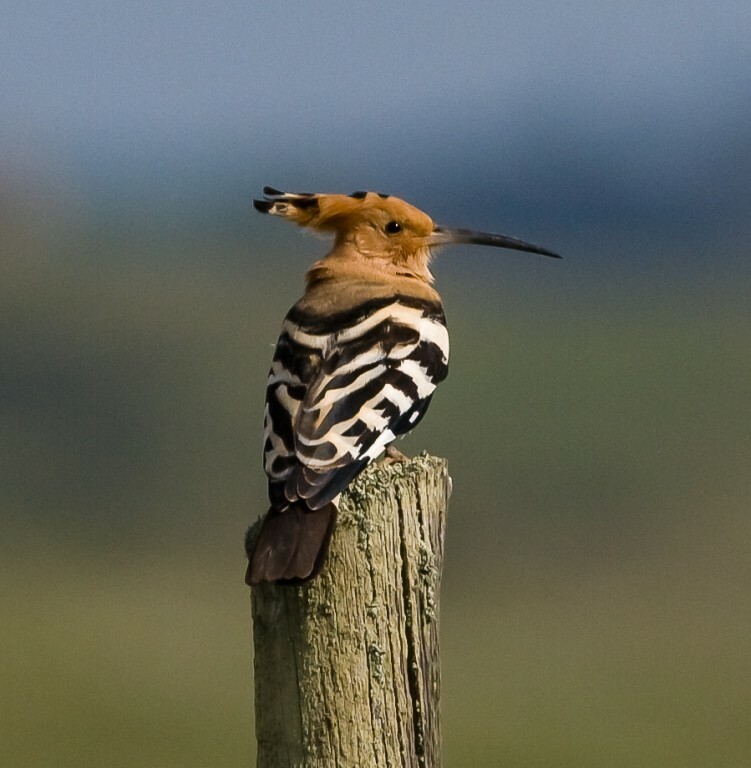 The hoopoe is probably the most distinguished, looking as it does like a feathered leopard and zebra hybrid, and its human-like penchant for sun-bathing has given it a loveable reputation. Bigger birds like the spoonbill, reef egret and the aforementioned booted eagle and great bustard are also in abundance – the sheer majesty with which they conduct themselves has won many fans from both bird enthusiasts and non-enthusiasts alike. The fierce fusion of the two swelling seas off the coast of the Costa Vicentina mean that the south-west of Portugal receives some of the most consistent weather on the planet. As such, it is a beautiful place to go all year round, as visitors to the nearby cities of Lagos and Faro in the Algarve can attest. The south-west Alentejo and Vicentine Coast Natural Park is a bit of a mouthful to say, but it’s equally full of gorgeous birdlife. The consistent weather means continual habitation by some of the most attractive birds in the country, all of which can be found in the park’s many terrains. Storks nesting on the cliffs in Alentejo, mainland Portugal. The inland cork-oak groves and stone pine forests are home to spectacular woodland birds such as the Sardinian warbler and the waxbill, while the dunes, coves and cliffs are as popular with shearwaters and storm petrels as they once were with pirates. A quick glance at the skies might gift you with the sight of a glossy ibis migration or perhaps, if you’re lucky, one thousand flamingos in a tempestuous sea of pink, on the lookout for a new home. The whole park is famed for its myriad walking tracks, and Headwater specialise in thorough explorations of the best of these – the ones with the most spectacular and peculiar wildlife in Portugal and Europe – on their Costa Vicentina walking holiday. What with Portugal’s relatively small size and well-organised roads, getting even from the most northern tip to Lisbon’s jutting outcrop to the city of Faro in the deep south is a breeze. This is good, because the most northerly and southerly points are both in national parks, so transportation between the two is essential for any dedicated bird enthusiast. Taking the trip starting from Parque Nacional Peneda-Gerês and heading down to Parque Natural da Ria Formosa will reward you with sights of the beguiling Portuguese countryside, but time should definitely be taken out to explore Portugal’s buzzing urban centres. Such a trip between the two parks would pass through Braga, Porto and Lisbon – all sprawling metropolises by modest Portuguese standards – but when compared to most European megacities, adorably compact centres full of charm and history. Not to mention birds. They don’t quite possess the wealth of wildlife found in Portugal’s many green spaces, but there are certain endemic, urban species that won’t be seen anywhere else. A few mild diversions will soon see you back amongst the vast, open green, as individual trips can easily be made to Serras de Aire e Candeeiros, Serra de Montejunto, Sintra Cascais, Arrabáida and the aforementioned mecca: the Alentejo and Vicentina Coast. All are government-protected parks and each features exclusive birdlife that won’t even be seen in other places in Portugal, let alone the world. Okay, this one’s less about the birds, but if you’re going to be outside all day with binoculars in one hand, you may as well have something in the other. If you are making the trip down from Peneda-Gerês in the north, you’ll be passing through a lot of country with a lot of wineries. Most of these produce, almost universally, full-bodied red wines, but the differences between each can be staggering. 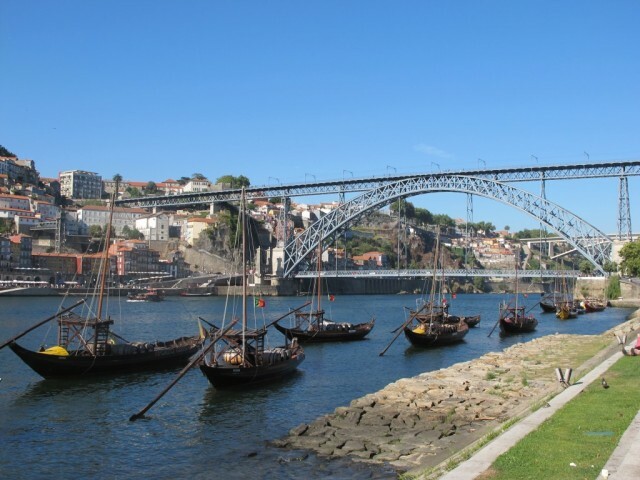 The Douro, Bairrada and Dão regions of the north will be your first port of call, where the baga grape dominates and its tens of thousands of growers strive for quality. Further down the coast towards Lisbon you’ll be travelling through the strong-rooted vines of Lisboa, before a venture further south will put you in the heart of that magical province – Alentejo; famed not only for its magnificent birds and scenery, but also its role in Portugal’s recent wine revolution through the introduction of endemic and foreign grape fusions. In the Algarve and depending on where your priorities lay, you may have either modestly accompanied your birdwatching with the best Portuguese wines, or perhaps will have seen just a handful of sparrows from the winery windows. Either way is good. Check out Headwater’s range of holidays in Portugal, perfect for birdwatching, discoverable on foot or by bike.